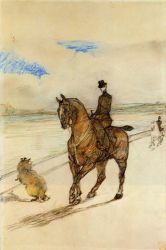 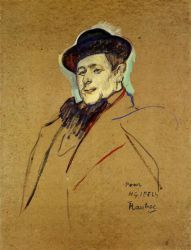 Henri Marie Raymond de Toulouse-Lautrec-Monfa or simply Henri de Toulouse-Lautrec (French pronunciation: [?? 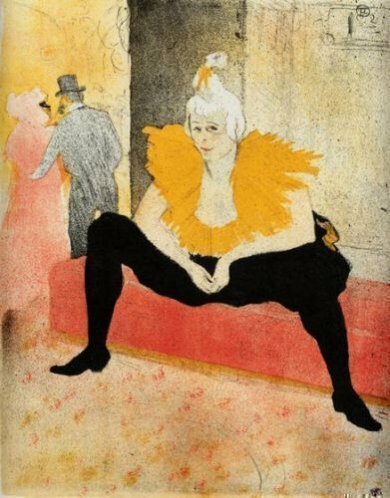 ?i d? 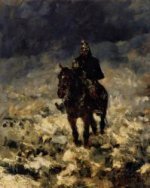 tuluz lo?t? 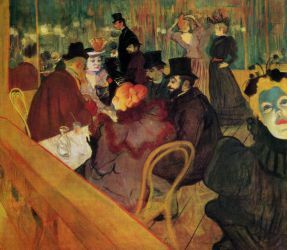 ?k]) (24 November 1864 – 9 September 1901) was a French painter, printmaker, draftsman, and illustrator, whose immersion in the colorful and theatrical life of fin de siècle Paris yielded an œuvre of exciting, elegant and provocative images of the modern and sometimes decadent life of those times. 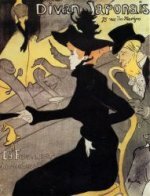 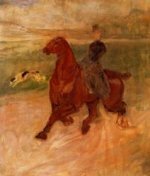 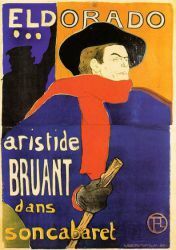 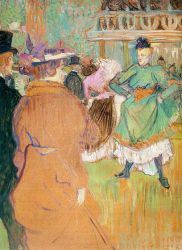 Toulouse-Lautrec is known along with Cézanne, Van Gogh, and Gauguin as one of the greatest painters of the Post-Impressionist period. 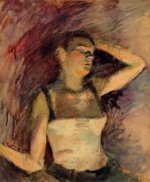 In a 2005 auction at Christie's auction house a new record was set when "La blanchisseuse", an early painting of a young laundress, sold for $22.4 million U.S. 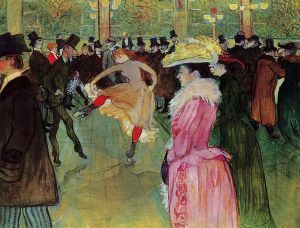 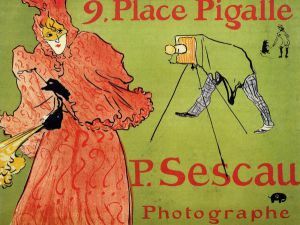 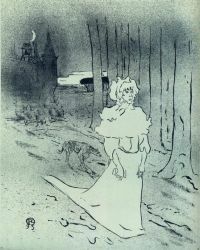 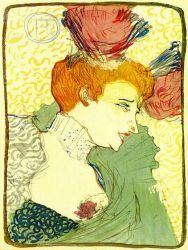 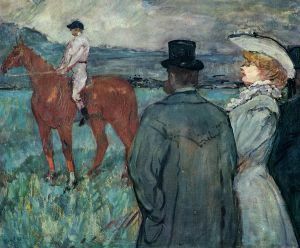 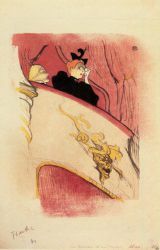 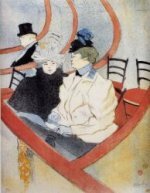 Throughout his career, which spanned less than 20 years, Toulouse-Lautrec created 737 canvases, 275 watercolors, 363 prints and posters, 5,084 drawings, some ceramic and stained glass work, and an unknown number of lost works. 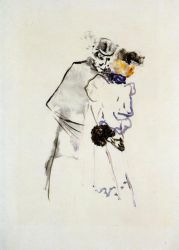 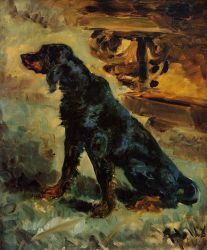 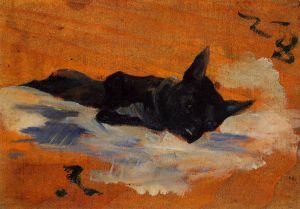 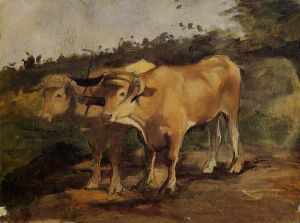 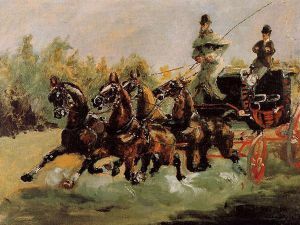 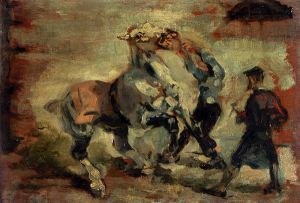 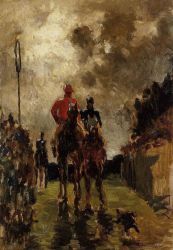 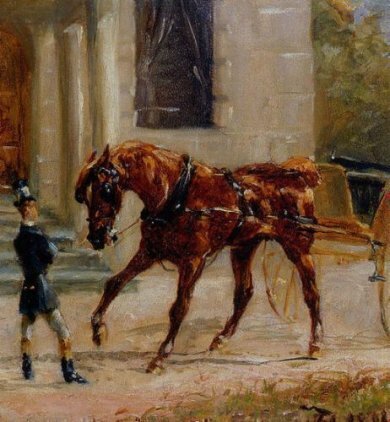 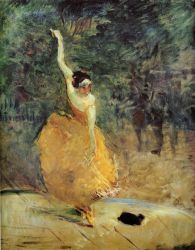 His debt to the Impressionists, in particular the more figurative painters Manet and Degas, is apparent. 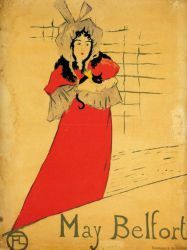 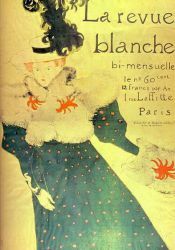 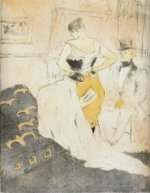 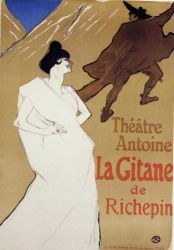 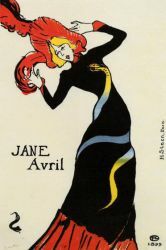 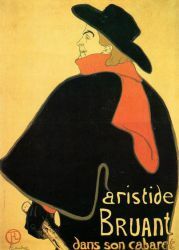 His style was also influenced by the classical Japanese woodprints which became popular in art circles in Paris. 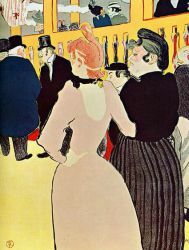 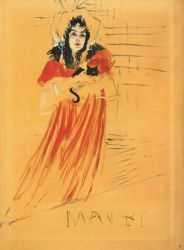 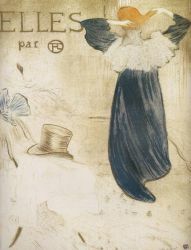 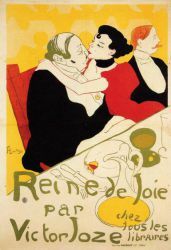 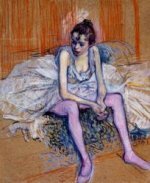 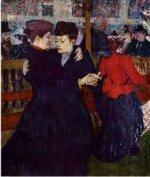 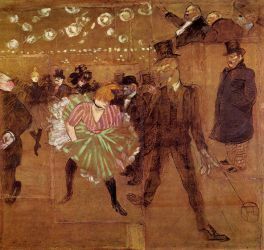 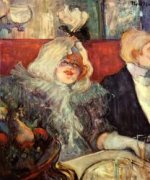 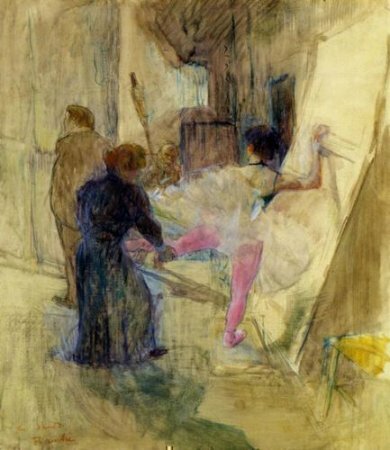 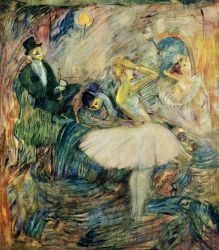 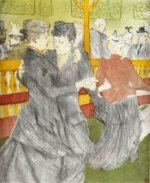 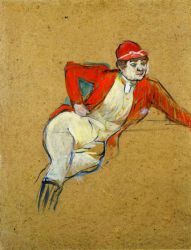 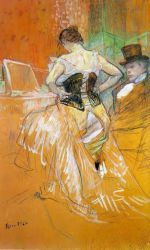 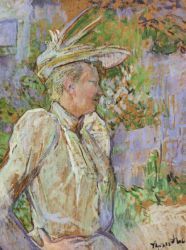 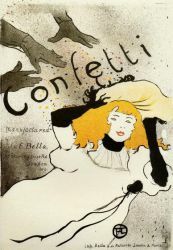 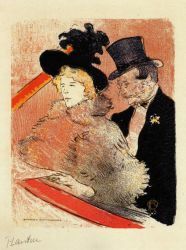 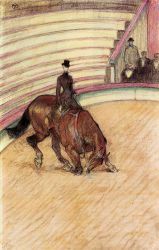 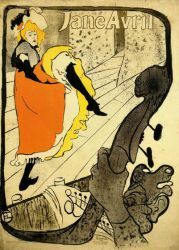 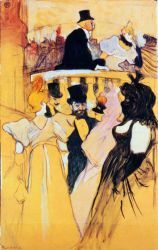 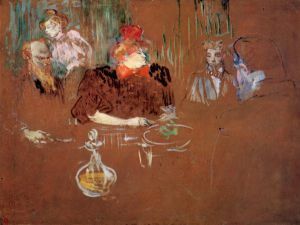 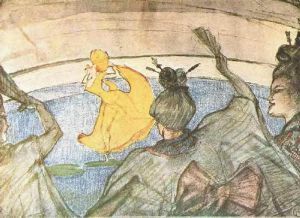 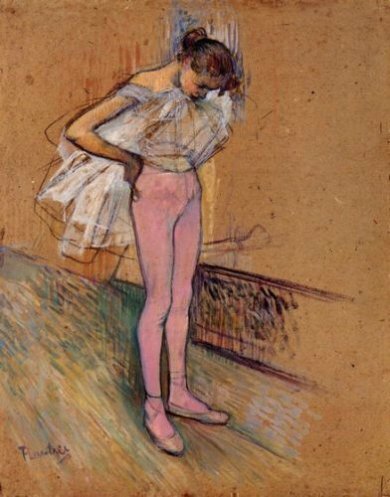 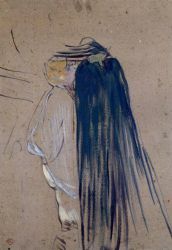 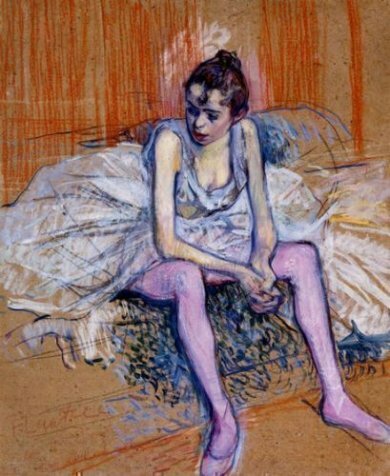 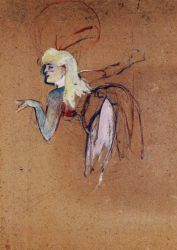 In the works of Toulouse-Lautrec can be seen many parallels to Manet's detached barmaid at A Bar at the Folies-Bergère and the behind-the-scenes ballet dancers of Degas. 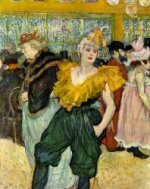 He excelled at capturing people in their working environment, with the colour and the movement of the gaudy night-life present, but the glamour stripped away. 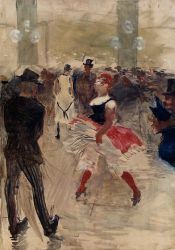 He was masterly at capturing crowd scenes in which the figures are highly individualised. 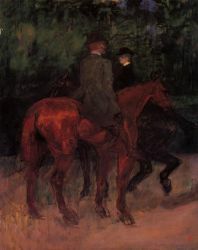 At the time that they were painted, the individual figures in his larger paintings could be identified by silhouette alone, and the names of many of these characters have been recorded. 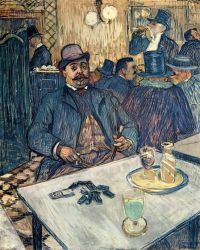 His treatment of his subject matter, whether as portraits, scenes of Parisian night-life, or intimate studies, has been described as both sympathetic and dispassionate. 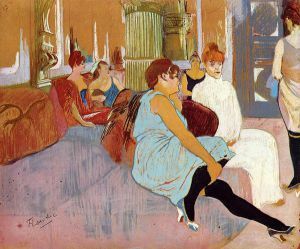 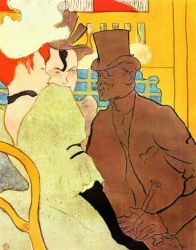 Toulouse-Lautrec's skilled depiction of people relied on his painterly style which is highly linear and gives great emphasis to contour. 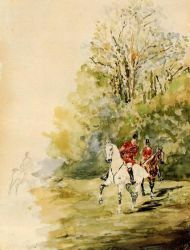 He often applied the paint in long, thin brushstrokes which would often leave much of the board on which they are painted showing through. 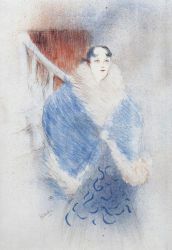 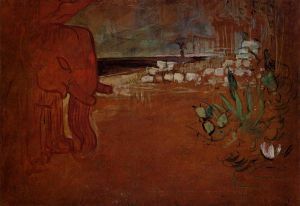 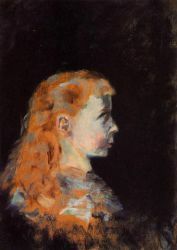 Many of his works may best be described as drawings in coloured paint.